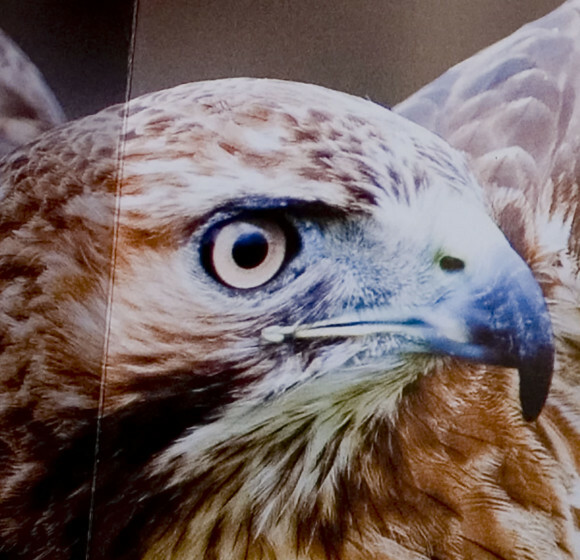 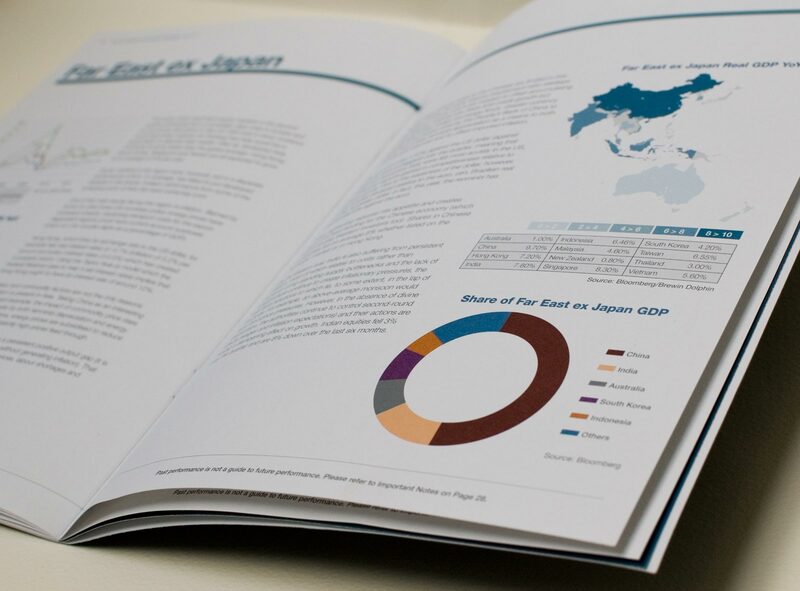 Investment Strategy Reports and Annual Reports produced while working for Brewin Dolphin, the UK’s largest independent Investment Company. 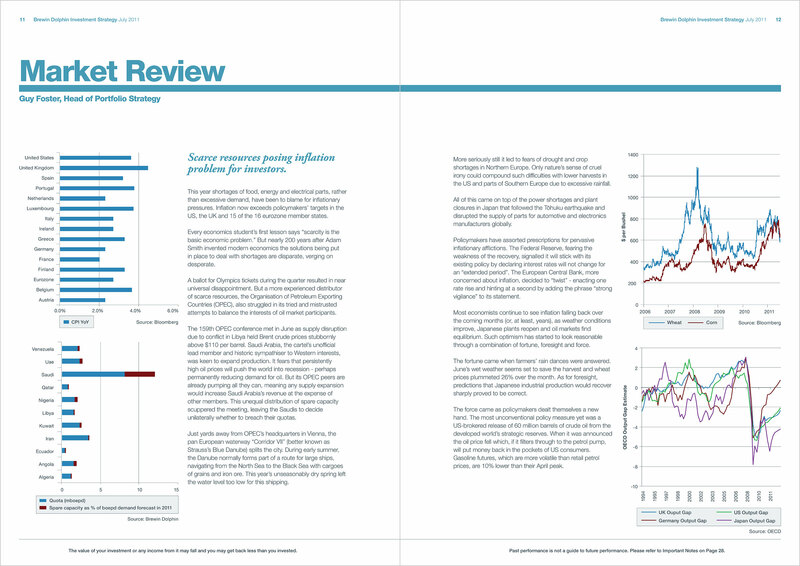 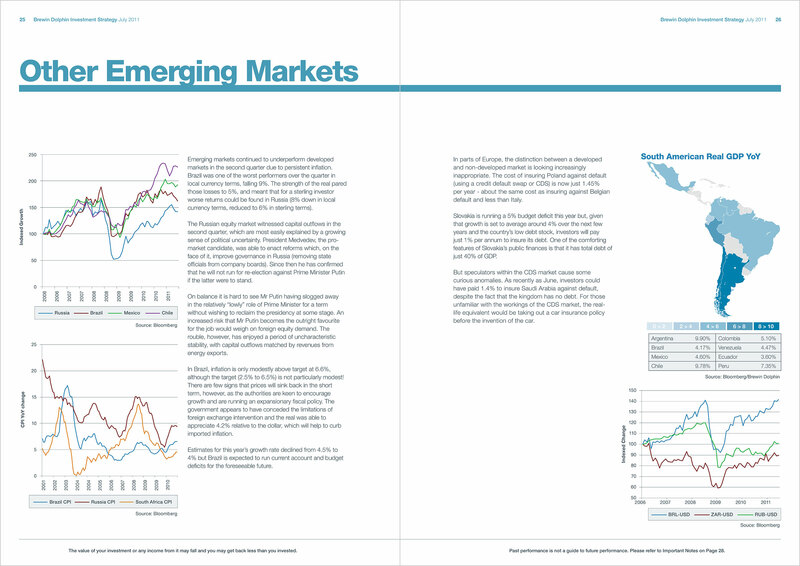 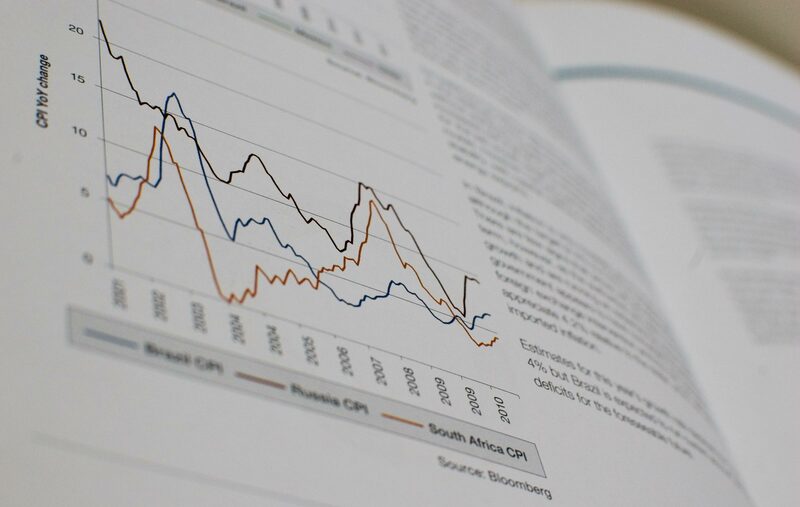 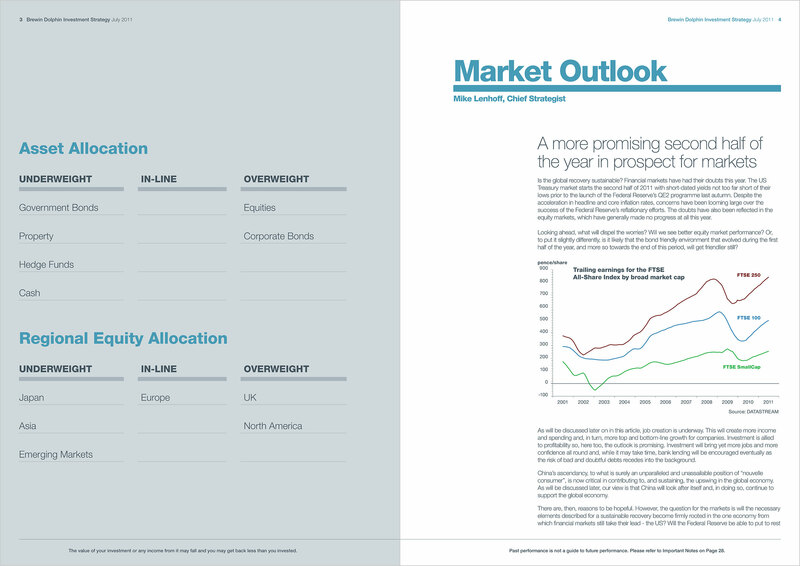 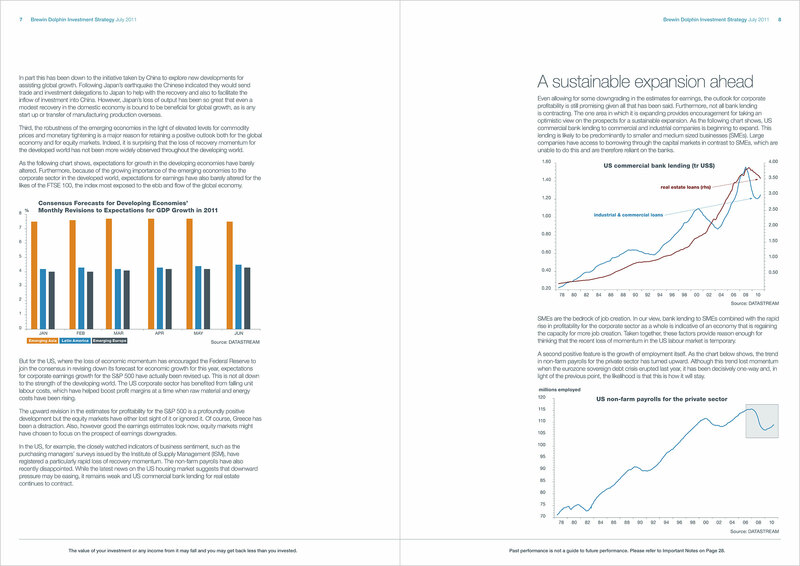 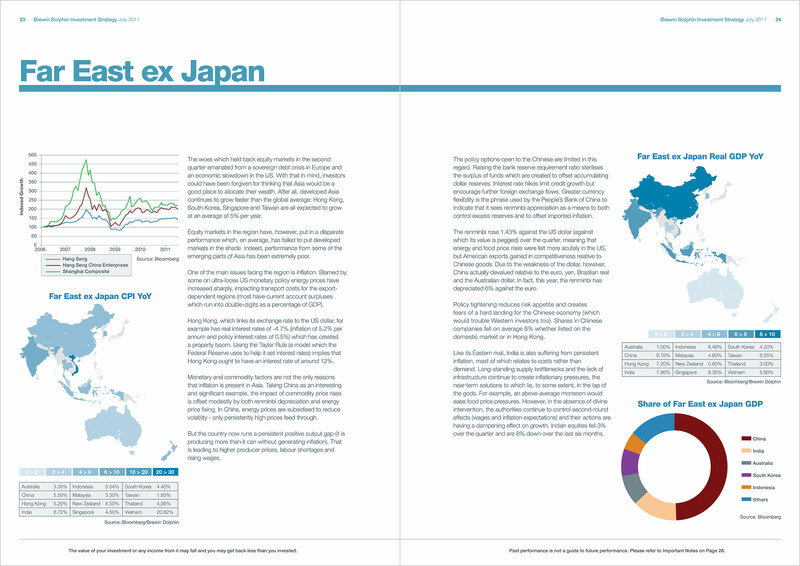 Having designed master templates and style guides, the Investment Strategy Report was created each quarter with new content, including reformatting charts and graphs. 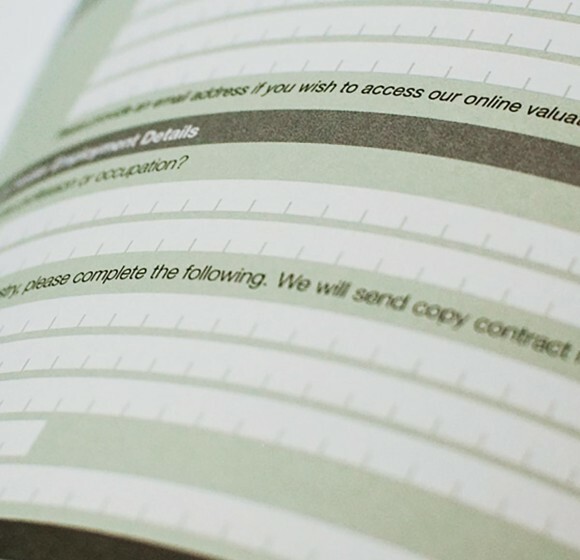 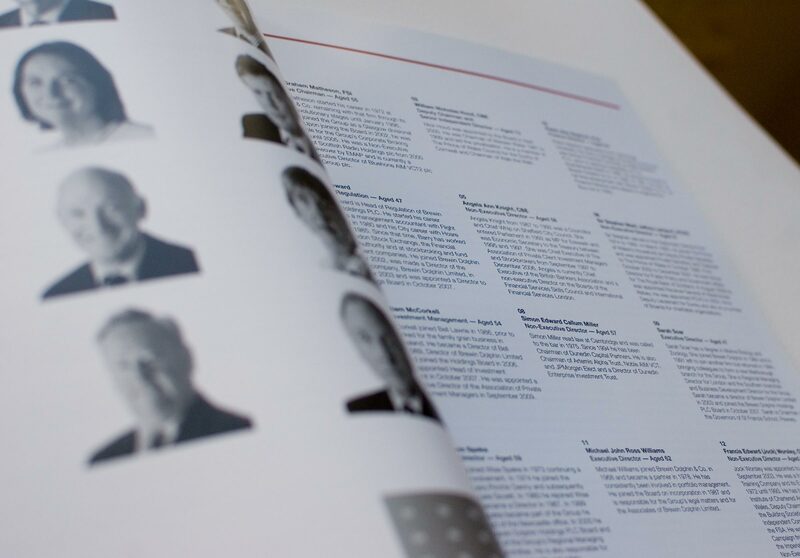 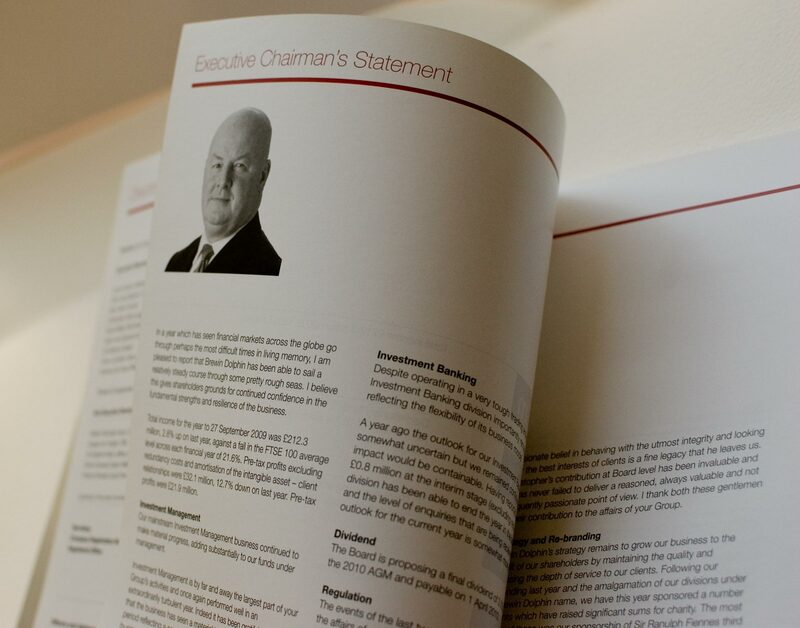 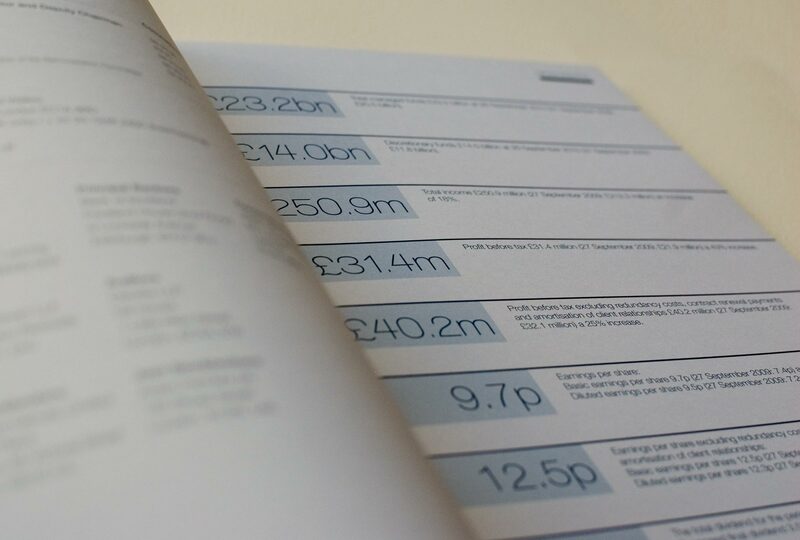 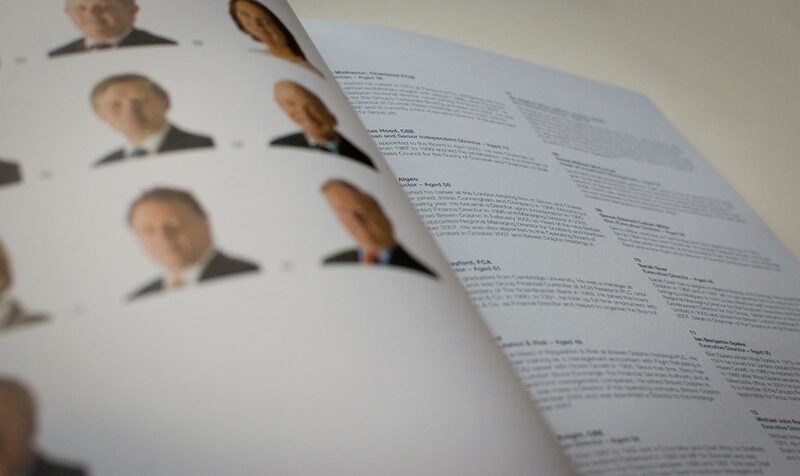 On the other hand, the Annual Reports had a new template designed every year to clearly distinguish each years’ numbers and give each Annual Report its own identity.